The Blizzard of 2016 is delivering what the forecasters said it would: heavy snow, strong drifts and empty streets at daybreak on Saturday. Snow totals in Reston, measured by three residents, range from 15 to 18 inches as of 8 a.m.
Here’s a deserted Baron Cameron Avenue Saturday morning. What’s still on the way? The Capital Weather Gang says an ADDITIONAL 20 inches is expected to fall across the area 6 a.m. and 4 p.m. Saturday. 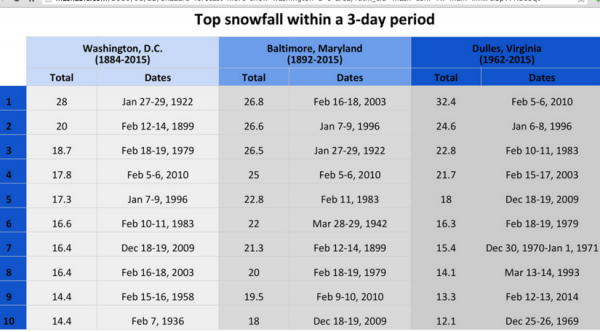 That would put the storm at over 30 inches, making it one of the biggest snowfalls in Washington-area history. So far, Dominion Virginia Power is reporting fewer than a dozen customers in Fairfax County without power. Kalypso’s at Lake Anne Plaza; Barcelona, bartaco and McCormick & Schmicks at Reston Town Center; Red’s Table at South Lakes Village Center; and Tavern 64 at the Hyatt Regency Reston. 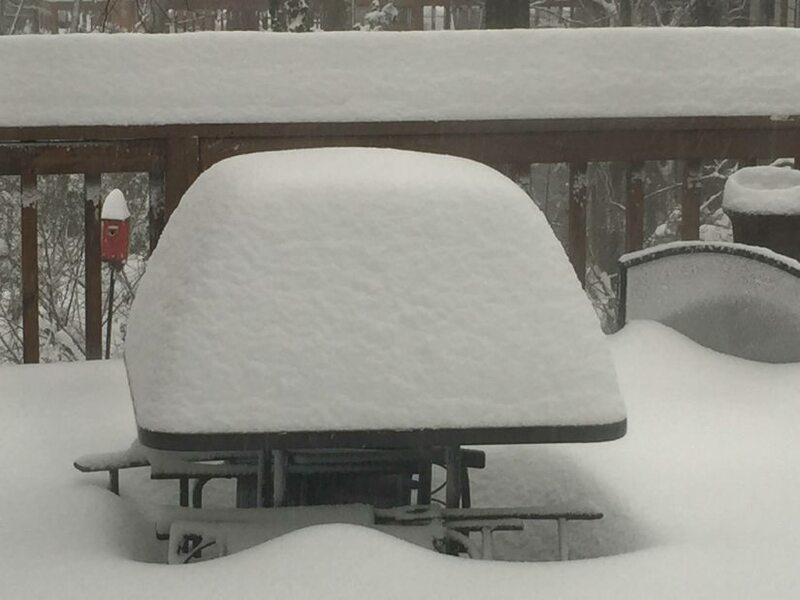 Fairfax County public safety officials are urging businesses to close for the day. “We recognize the blizzard’s adverse impact on livelihoods, but we encourage businesses and other non-essential entities to remain CLOSED,” it tweeted Saturday morning. The Virginia Department of Transportation is also urging people to stay off roads. Check out VDOT’s http://www.511virginia.org site to see live traffic cameras and the check which roads are passable. Meanwhile, enjoy some photos from your neighbors. Keep sending us more through Twitter @RestonNow or on Reston Now’s Facebook.